For other places with the same name, see Łączany. 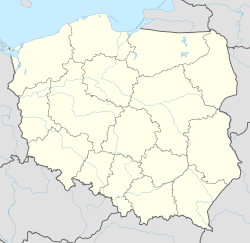 Łączany [wɔnˈt͡ʂanɨ] is a village in the administrative district of Gmina Wierzbica, within Radom County, Masovian Voivodeship, in east-central Poland. It lies approximately 7 kilometres (4 mi) east of Wierzbica, 17 km (11 mi) south of Radom, and 108 km (67 mi) south of Warsaw. This page was last edited on 20 March 2017, at 13:48 (UTC).